Email. Send an email through this link. One email should be sent for each giveaway you are entering and you must enter each giveaway separately. The email header should be the word as shown at the end of each giveaway (e.g. ROALD). You can enter up to a maximum of 5 different giveaways. Make sure you include your name and postal address! Email entry is for our registered users only. Facebook. "Like" Parents in Touch and we will enter you for the First News giveaway when you 'like' and 'share' the item. Twitter. Follow @parentsintouch, re-tweet in full the tweets that mention the giveaways you wish to enter. Look out for tweets during the month! Instagram. Follow Parents.in.Touch and look our for competition posts during the month. The Gloriumptious Worlds of Roald Dahl This book takes the reader deep into the world of Roald Dahl Dahl's wonderful stories with fascinating insights into the characters and events from Roald Dahl's writing in a humorous, exciting and downright gloriumptious way. For the very first time, the stories behind the stories are brought to life in this new title which is packed with Quentin Blake's iconic illustrations. There are previously unpublished reproductions of imagined letters, artefacts and posters, and editing notes from Dahl himself, to bring all of Roald Dahl's characters alive...Read on. Carlton Books have 3 copies to be won. Put ROALD as your email header. Don't Worry, Be Happy Do you know the signs to look for to be aware if your child is suffering from anxiety? Sadly, it is becoming an increasing problem, hence the current emphasis in schools on helping children to cope with and overcome anxiety. This practical guide is written for children aged 7 - 11 and combines proven cognitive-behavioural therapy methods used by child psychologists in schools with simple activities to help your child to overcome anxiety. These years are important for children - parents, carers and teachers can have a big impact at this age. The child-friendly activities are introduced by Fiz, a friendly and supportive character with whom children can identify...Read on. You're a Star Low self-esteem can have a huge impact on a child's life, schoolwork and relationships - but there is plenty adults can do to help boost self-esteem as this child-friendly accessible book shows. Feelings of isolation and anxiety over what others think of them are just some ways a low self-esteem shows This practical guide is full of simple to do activities to improve self-confidence, with many pages in the book for children to complete; I'd recommend plenty of parental input and sharing to get the full benefit. Proven cognitive-behavioural therapy methods used by child psychologists in schools are the basis of the book, which is aimed at children aged 7–11...Read on. Summersdale Publishers have three sets of these 2 books to giveaway. Put HAPPY as your email header. The Cradle of all Worlds When Jane Doe and her father arrived on the steps of the Manor, so the earthquakes started. Ever since, Jane and her father have been feared and despised by the inhabitants of the island of Bluehaven. When the strongest quake yet strikes and her father disappears back into the Manor, Jane embarks on a perilous adventure to find her father and save her world – perhaps all worlds – from destruction...Read on. Egmont have 3 copies to be won. Put CRADLE as your email header. Rabbit & Bear: Attack of the Snack These joyous stories of a very special friendship are perfect to enthuse newly confident readers to enjoy books on their own. It's the best day ever...that is, until a mysterious something plops into Rabbit and Bear's lake. What can it be - and is it exciting, or terrifying? Join the friends - and their friends - as they try to work out just what to do with this strange creature. Jim Field's wonderfully expressive illustrations are key to the success of the book. Delicately executed in a grey/yellow palette, it just shows that you don't always need bright colours; these pictures are gentle and effective, a refreshing change...Read on. Hachette Children's have 5 copies to giveaway. Put RABBIT as your email header. Pocket Guide to Turtles, Snakes and Other Reptiles This pocket-sized cloth-bound book is perfect to take out and about. The author is a natural history expert who has brought us a simple but thorough introduction to all the families of reptiles, including turtles, tortoises, lizards, snakes and much more. The layout is very effective - information is presented in a series of boxes which include topics such as A Closer Look and Did You Know? alongside the basic information, meaning children can read as much or as little as they want - and always return to learn more...Read on. Pocket Guide to Whales, Dolphins and Other Marine Mammals From the killer whale to the bottlenose dolphin, learn everything you ever wanted to know about marine mammals in this handy pocket-sized guide. 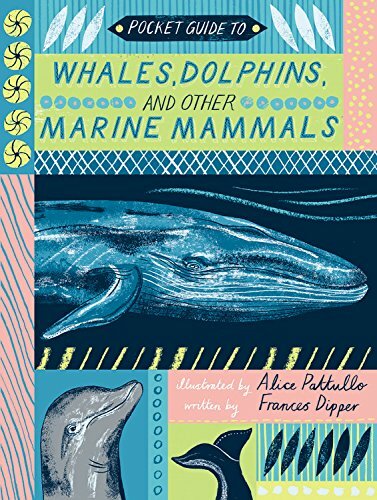 Written by a natural history expert, this book provides a comprehensive introduction to all the families of marine mammals. Featuring well-loved creatures including whales, dolphins, porpoises, narwhals, otters, seals and even polar bears, it's the perfect introduction to life under the sea for young animal lovers. Get reading and then take your book out into the wild...Read on. Lincoln Children's Books and the NHM have two sets of these 2 books to giveaway. Put POCKET as your email header. Will You Catch Me? This is a moving story about a girl whose mum drinks too much. Nell does all she can to help, and hopes that by being a good daughter, her mum will stop. When it all gets too much, Nell has an unusual coping mechanism...she stands on her head. It makes the world seem a better place. Nell is a caring and compassionate girl; as well as looking after her mum, she cares for an assortment of rescue animals. Learning about Nell Gwyn inspires Nell to dress up as an Orange Girl for the Costume Parade in the hope her dad will step forward and claim her...Read on. Hachette Children's have 5 copies to be won. Put CATCH me as your email header. 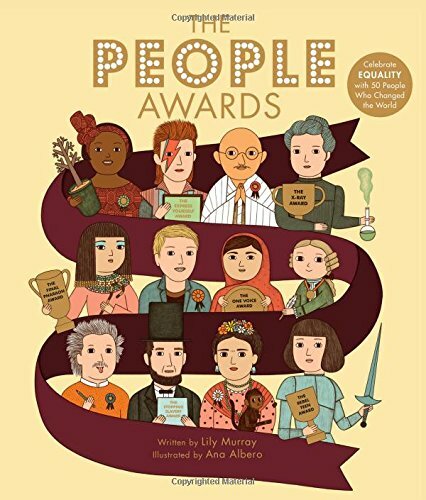 The People Awards I love the cover of this book - the eye-catching gold embossing is just right for a book of celebration. And who doesn't love an award ceremony? Settle down - The People Awards are about to begin. The book celebrates equality with 50 famous people from around the world who have made history and changed the world for the better. This is a beautiful hardback book of biographies to treasure, with stunning and unusual art from award-winning artist Ana Albero. Each biography is the perfect length to incite children's interest and to give just enough information to set them on the path of discovery...Read on. Lincoln Children's Books have 3 copies to be won. Put PEOPLE as your email header. Dinosaur Juniors: Happy Hatchday Welcome the Dinosaur Juniors to the world, from the moment of hatching. Meet Otto, Winnie, Hector and Sue and their siblings as they enjoy the first experiences of their young lives. And Greg, who is born much later than the others, so has lots of catching up to do! Told in simple rhyme, which is perfect to read aloud, there is wit and humour, pitched at just the right level for young children...Read on. Dinosaur Juniors: Give Peas a Chance Following on from the book above, it's great to see the start of a series from the talented Rob Biddulph, who knows just how to appeal to his young audience, in both text and pictures. The Dinosaur Juniors experience just the same events in life as any youngster, so children will readily identify with the stories and the characters. Nancy hates peas, so she comes up with a cunning plan to get rid of them... but her plan doesn't quite work out as she'd hoped! Vibrant illustrations complement the story perfectly...Read on. Harper Collins have three sets of the 2 books to giveaway. Put DINOSAUR as your email header. First News - The Newspaper for Young People First News covers serious news topics, in this issue there was an article on Syria and the problems there. I thought this was another great feature as I think it is important that children aren't sheltered from world events when they aren't very nice, the newspaper explains things in a simple and easily understandable way which doesn't sound as dramatic or scary as it might on the radio or on television. The newspaper is laid out much like a traditional newspaper but with brighter and more eye catching articles. The text is kept short or broken up in to boxes which will keep your child's concentration but there is also a huge amount of information packed in to those small spaces so it continues to be interesting to read...Read on. First News have two 12 month subscriptions to be won. Put NEWS as your email header. Parents in Touch reserves the right to: change these rules at any time, change the prizes, or to withdraw the competitions without notice. All giveaways close 30th September 2018.